Hi there! 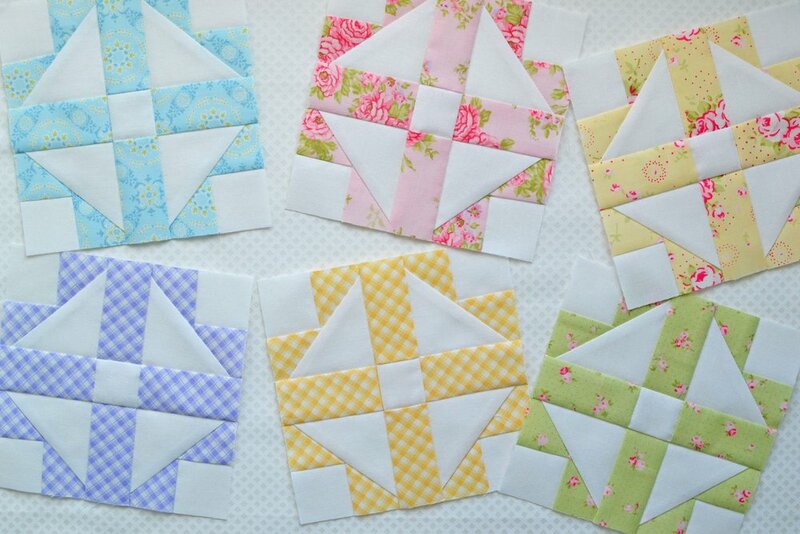 It's time for the ninth monthly installment of the Patchwork Quilt Along - Grandmother's Choice. These might be my favorite blocks so far in this quilt along, but don't tell the other blocks. I like how we got to work with triangles this month, and because of that, accuracy is really important. 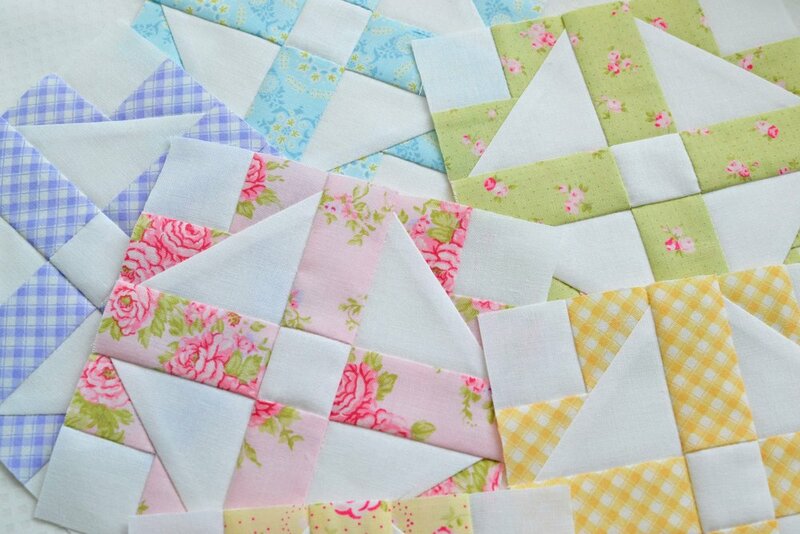 Wow, just three more months to go and then we can start to assemble our quilts. I am going to start to rehearse fabrics for the sashing. The pattern calls for sashing that matches the background, but I'm thinking of trying something just a little different. I love the Fleurs fabrics from Brenda Riddle that I have been using, but I'm also starting to think of adding in some of Brenda's Guernsey prints or even a solid. I'm sure that you all remember that this is a sew along to raise funds for Make-A-Wish. The pattern is a free download, courtesy of Fat Quarter Shop and Moda Fabrics, but please consider making a charitable donation of $5 to Make-A-Wish. And if you share your blocks on social media (and I hope that you will! 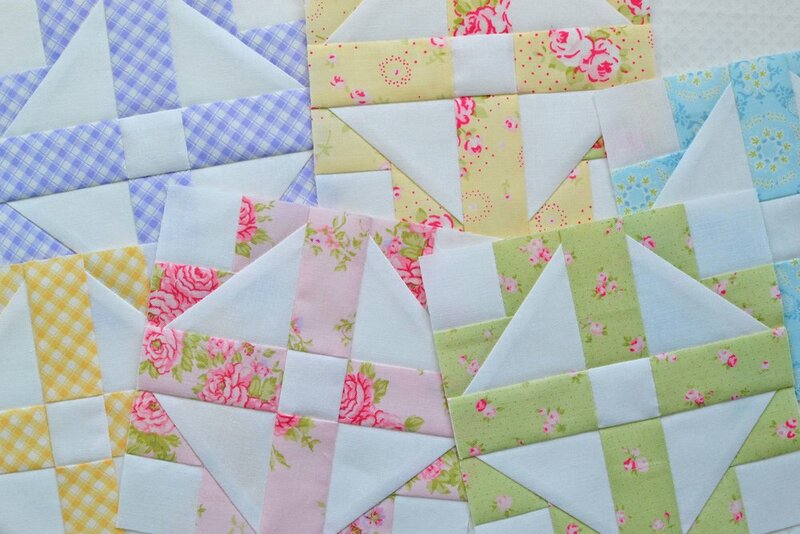 ), be sure to use the hashtag #patchworkquiltalong so that we can all be inspired by your blocks.